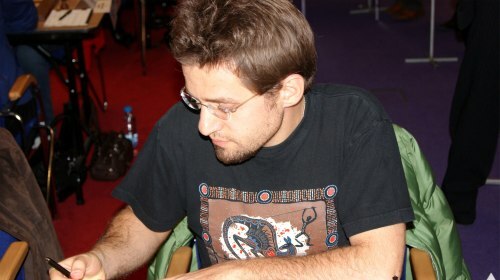 The Armenian grandmaster and member of the 2800 club Levon Aronian won the 2012 edition of the Tata Steel Chess tournament. In the last round he made a quick draw with Teimour Radjabov to finish with a total of 9.0 points and at least half a point ahead of the nearest follower. 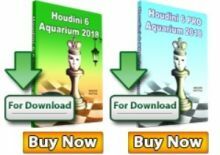 Aronian started with solid victories against Karjakin and Nakamura in the first two rounds, but a third round battle with Carlsen shed doubts on his form as he lost the 2800s clash with the young Norwegian. 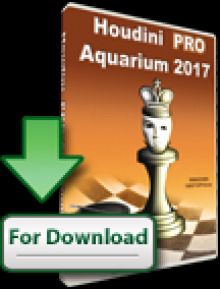 Aronian reacted perfectly to the defeat and recovered scoring a superb 4,5/6 in the next rounds clibing to top position and with a comfortable lead. 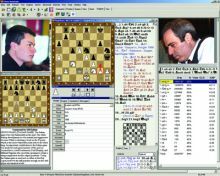 The intrigue was momentarily back when Aronian lost to David Navara, but the Armenian GM recovered by defeating with black the challenger for the world title Boris Gelfand. With this tournament victory Aronian completes yet another career achievement, rising his ELO and is surely already focusing on the Chess Olympiad 2012 where he will lead the team of Armenia.